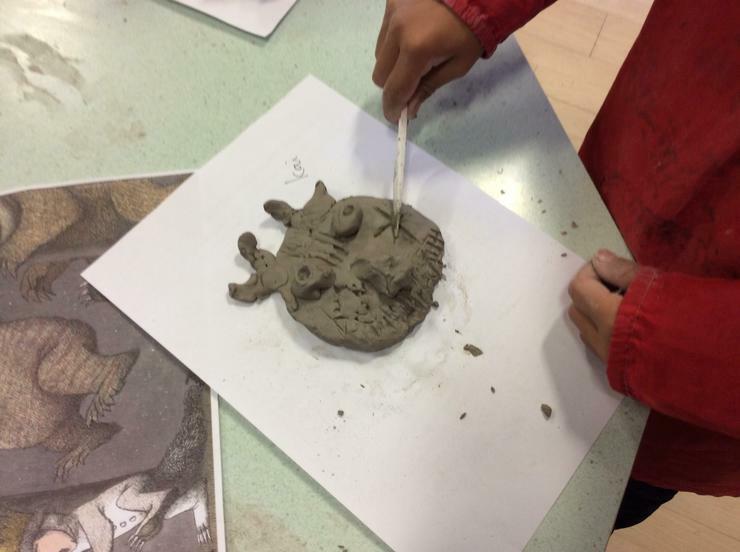 Where the Wild Things Are, the children's picture book by Maurice Sendak, was the stimulus for our Creative Day this year. 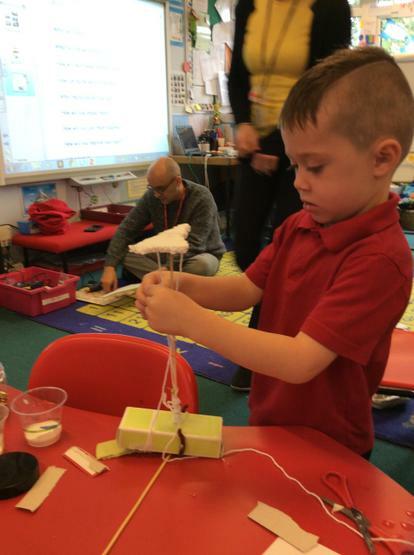 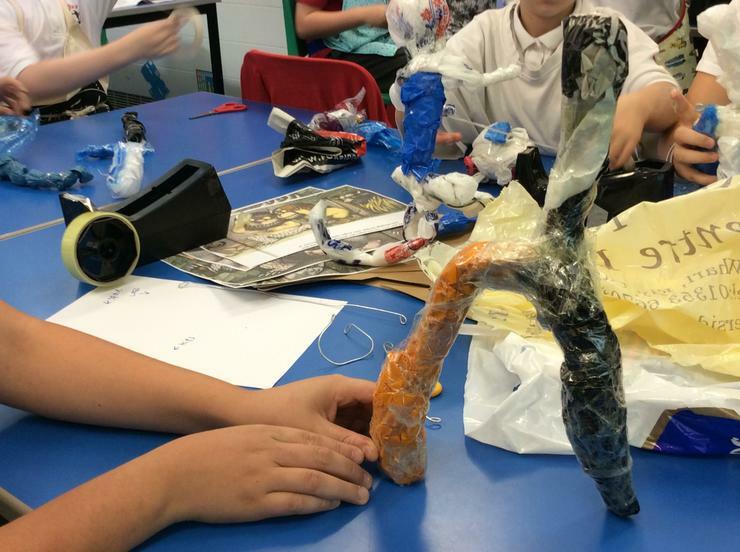 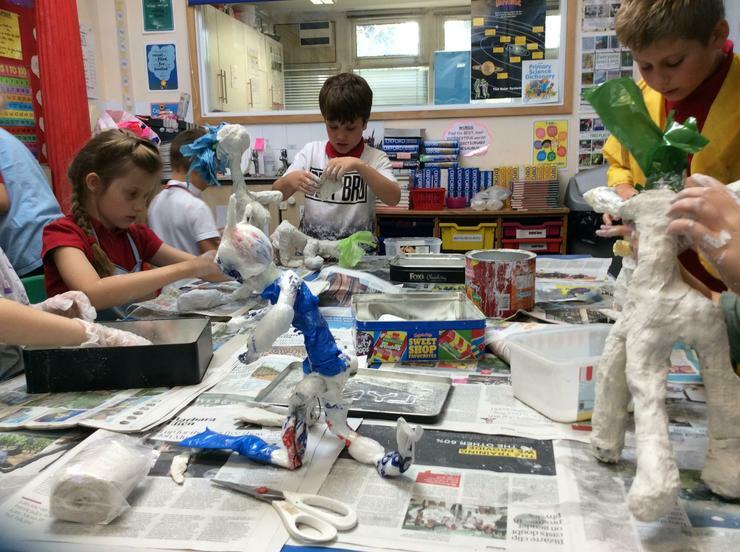 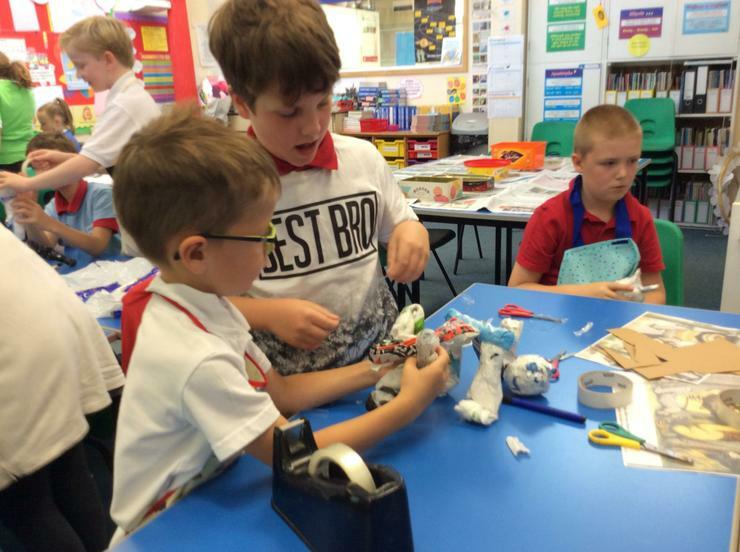 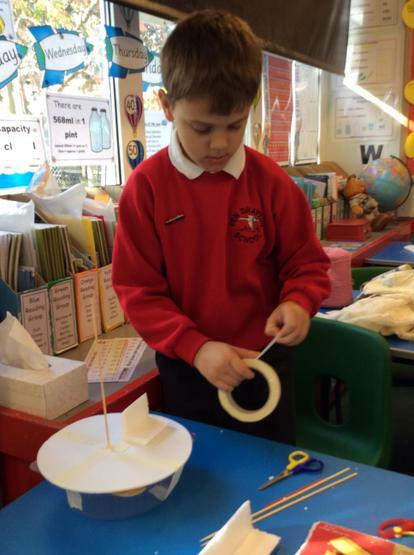 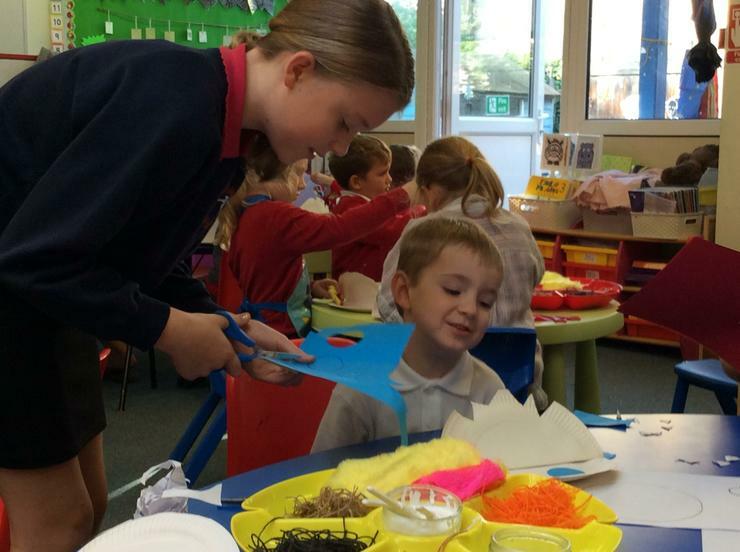 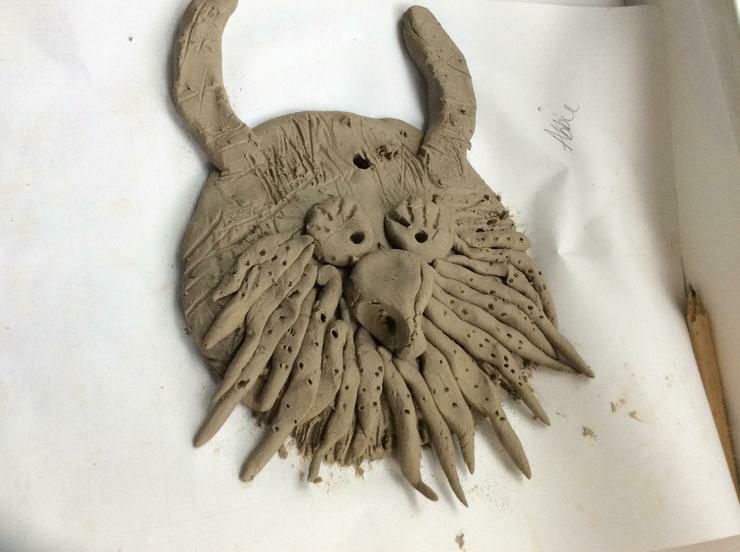 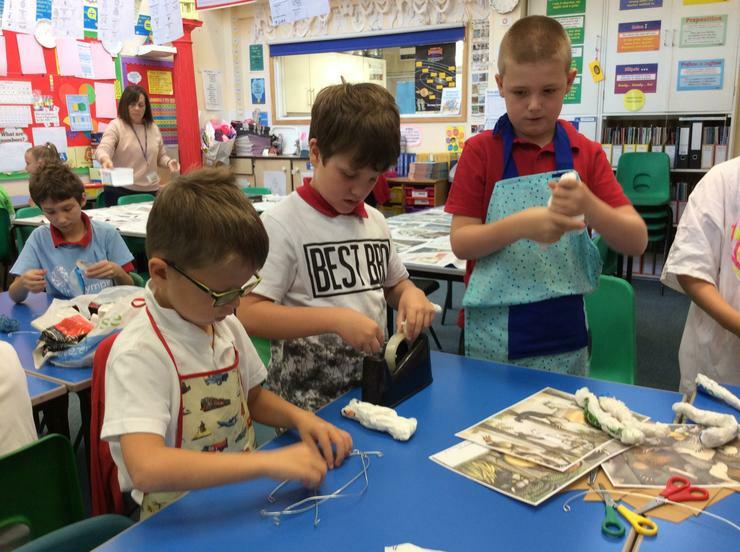 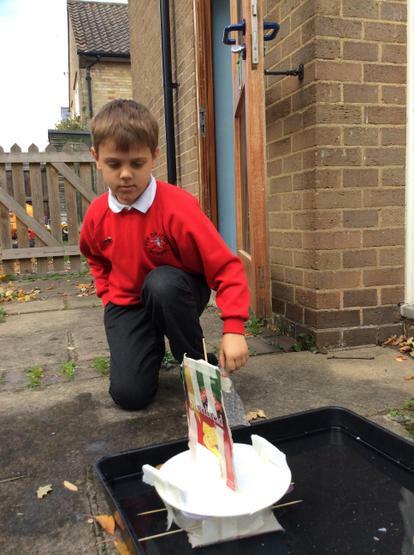 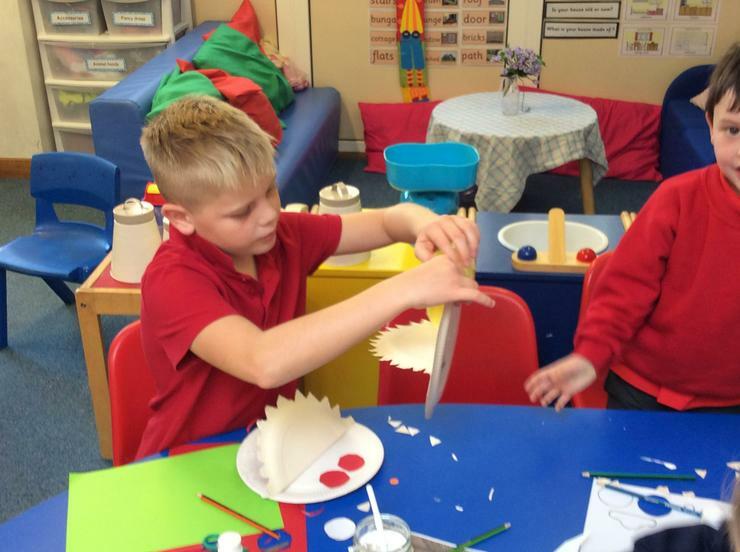 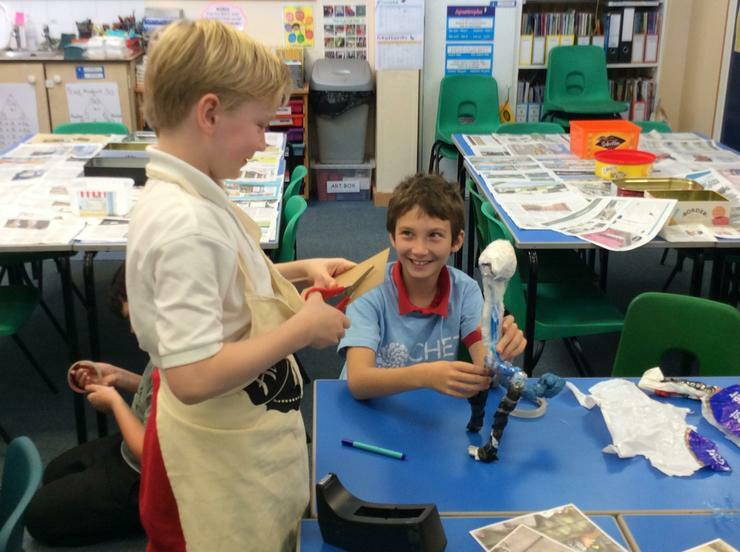 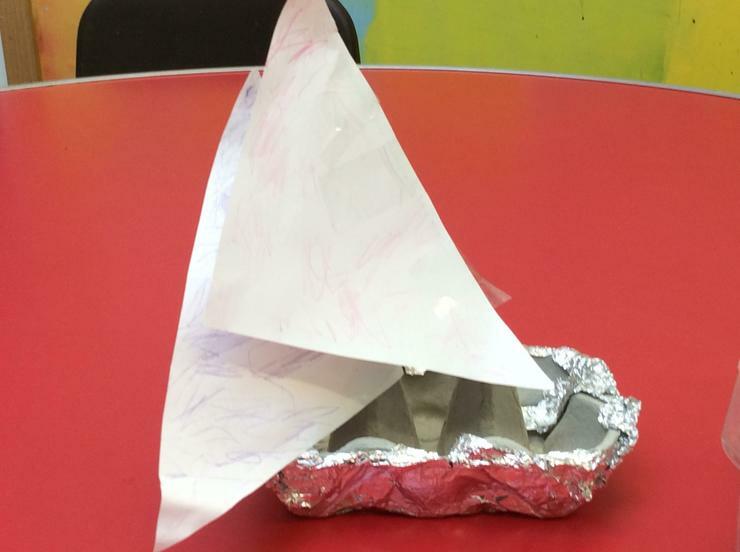 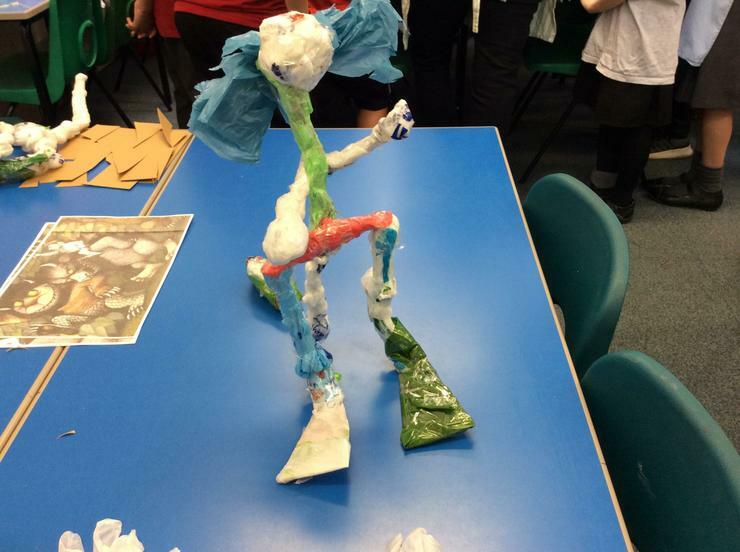 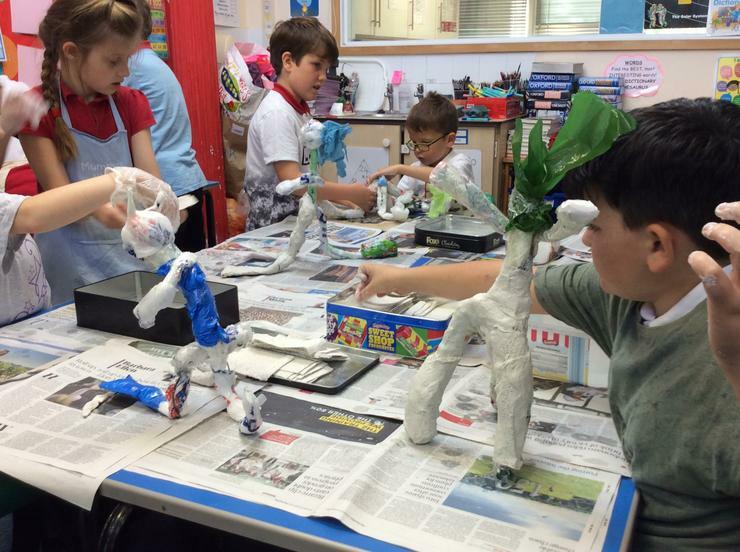 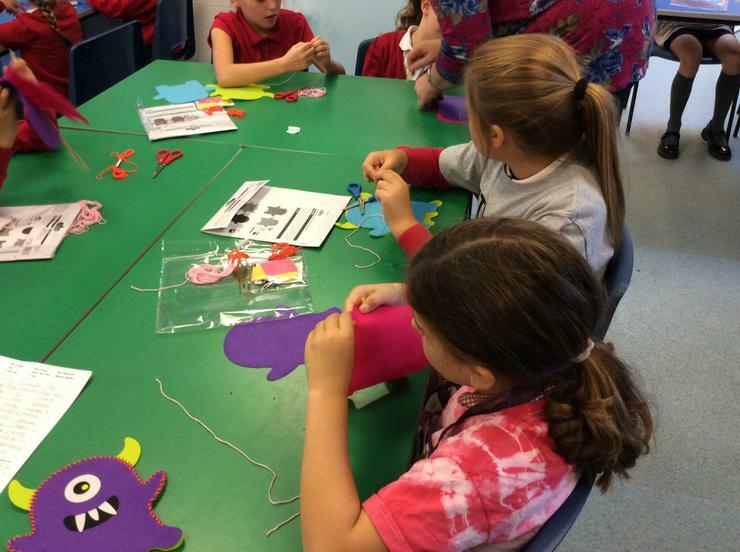 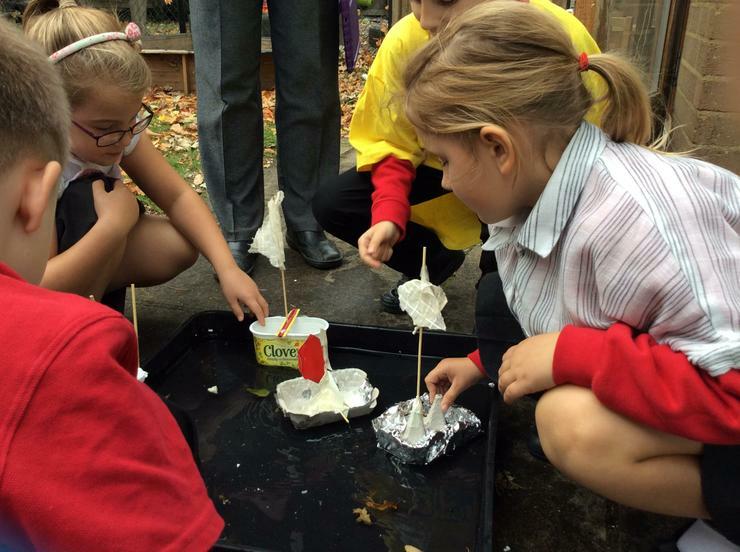 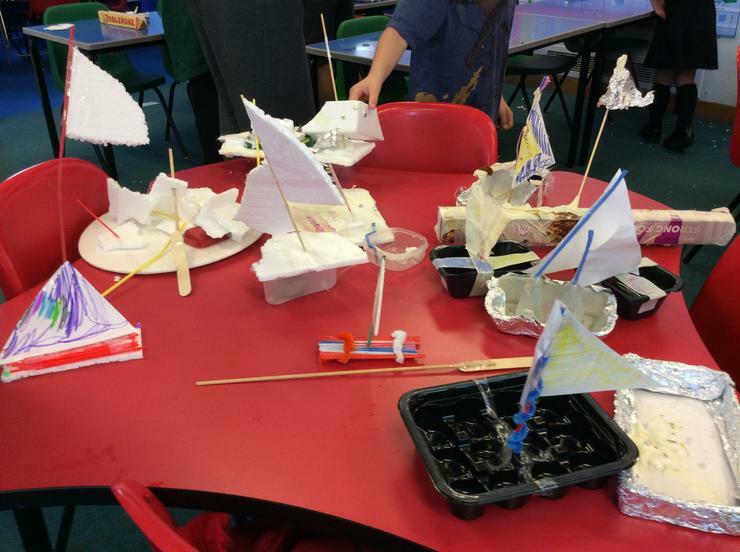 The children watched the film and listened to the story and then let their imaginations run riot as they made monsters from clay, fabric, modroc and paper plates and built boats from recycled materials. 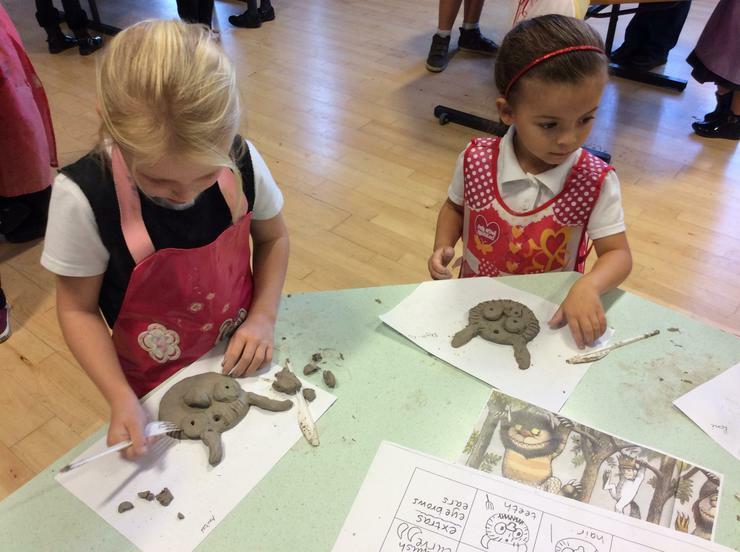 In the afternoon, each class took part in a drawing lesson, learning how to use pens of different thicknesses to make marks of different kinds in the style of Maurice Sendak. 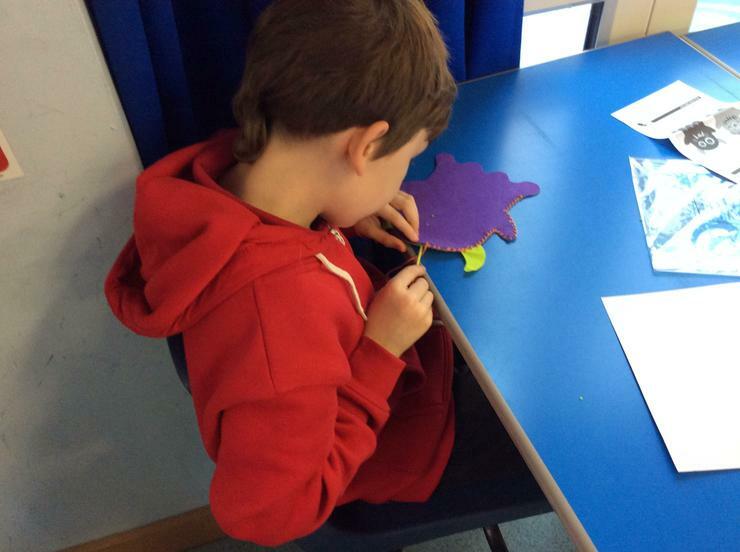 They used their new knowledge to draw a monster for a large scale work combining Year 6's background with monsters from the other year groups. 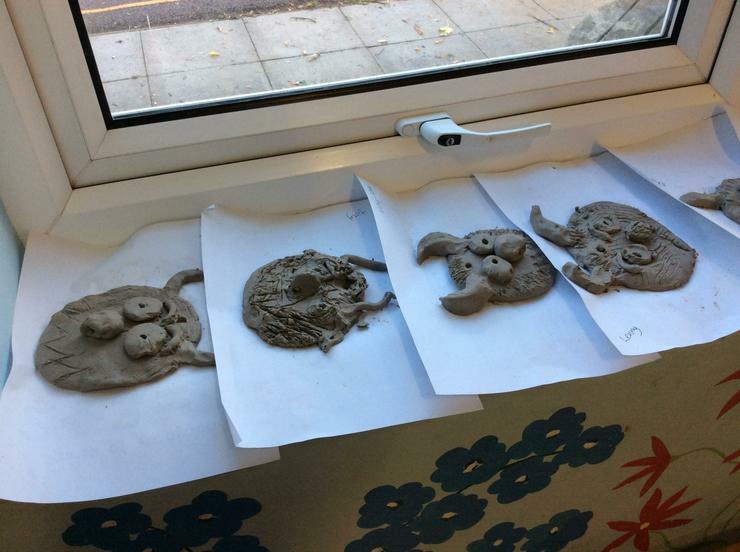 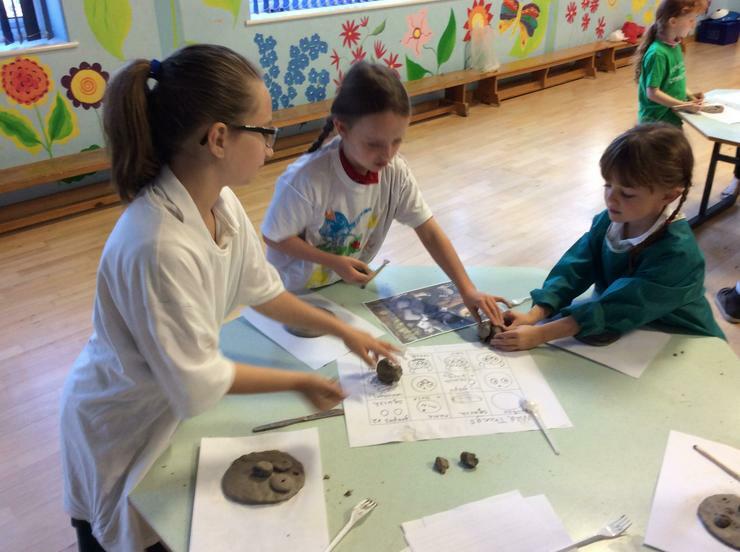 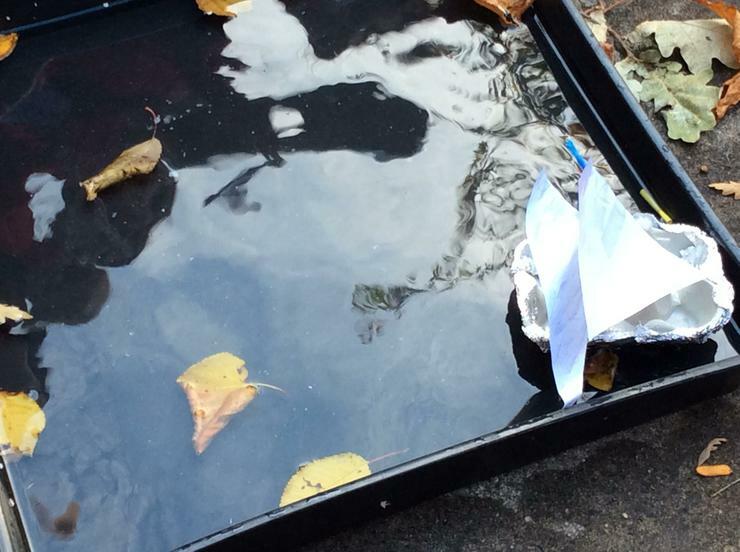 Have a look at the pictures to see what the children did! 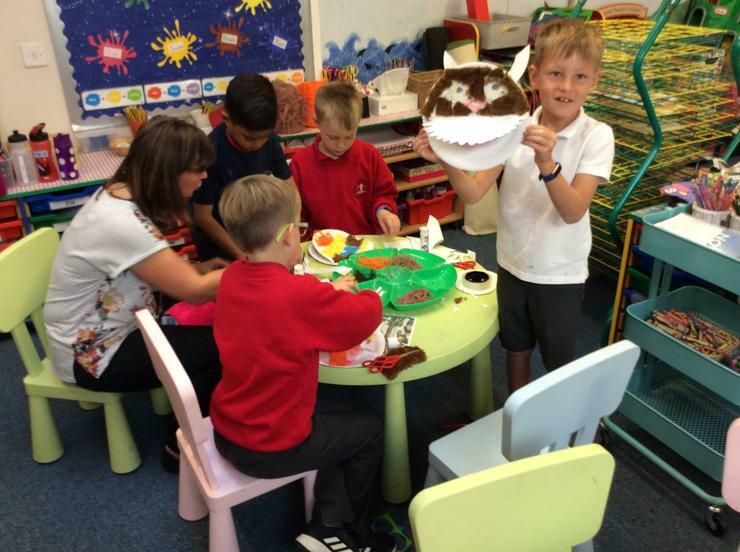 Thanks to Mrs Woodroff for planning the day for us and a big thank you to all the parent helpers for your support!